This one has several bees visiting it. Look in the outer ring of the central disk, where the actual florets are in bloom. 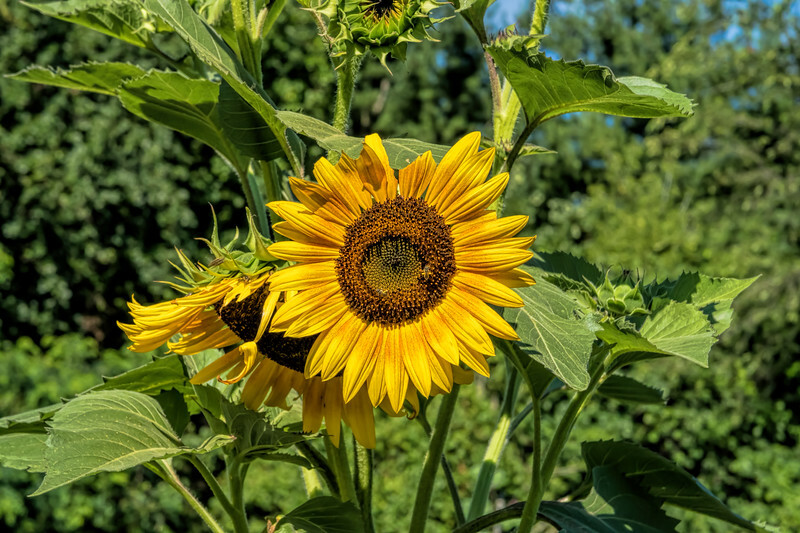 This is the type of sunflower that is raised primarily to produce seeds for birds, rather than purely for ornamentation.